It’s been a week since our last Wedding Wednesday already? This week is flying by and it makes me a little sad, as this is my last week on full time maternity leave. Next week I start back at work for 6 weeks part-time. Check back and I’ll be sharing my maternity leave experience. This week I’ll be sharing our invitations! My hubby thought it would be a good idea to create and print our own! This was a lot more work than I was expecting. Ben designed our invitation, RSVP, and accommodations card. He did an amazing job. I love, love, love them. 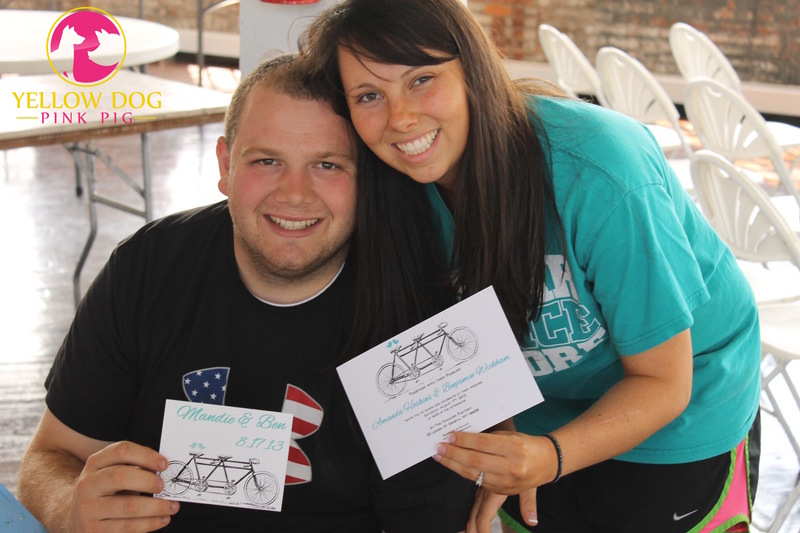 It even inspired us to have a two seater bike at the wedding. I don’t think I’d do it again. Between the cost of paper, ink, and the time it took to get these done, I’d suggest getting yours ordered. This would save stress and the hassle. 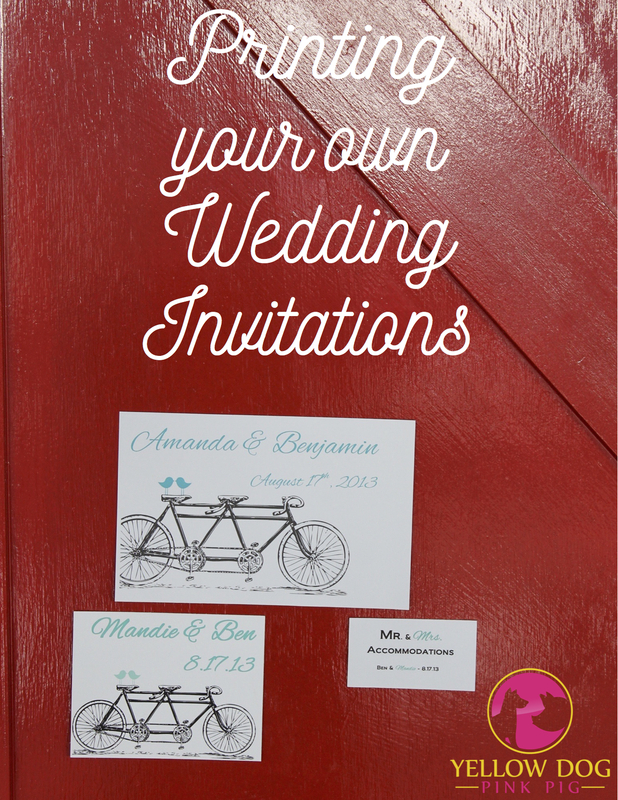 Have you printed your own invitations? Did you have the same experience? We thought about printing ours, but then decided to still design them and send the images to Cards and Pockets for them to print. It was a little more expensive, but saved us so much time. 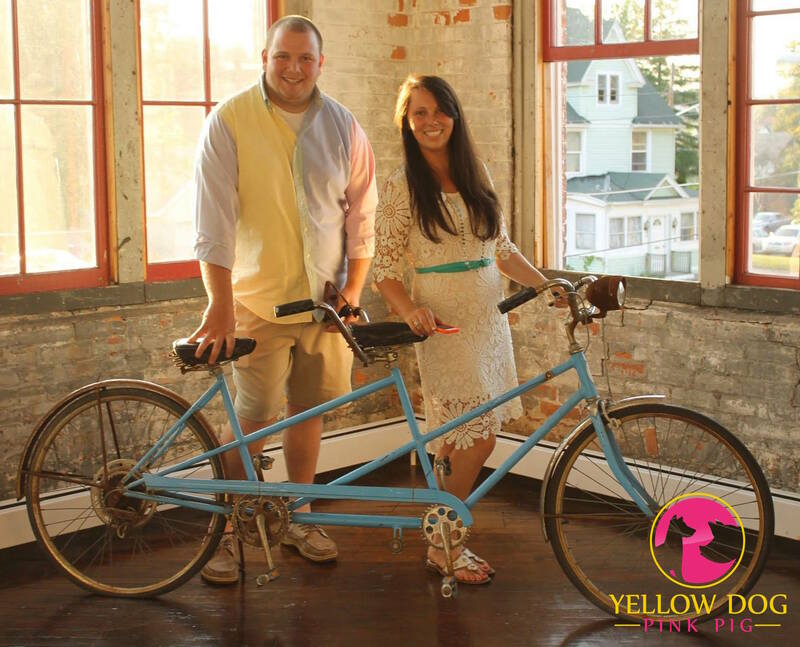 A bicycle built for two is such a sweet idea! Thanks for the link up opportunity!! 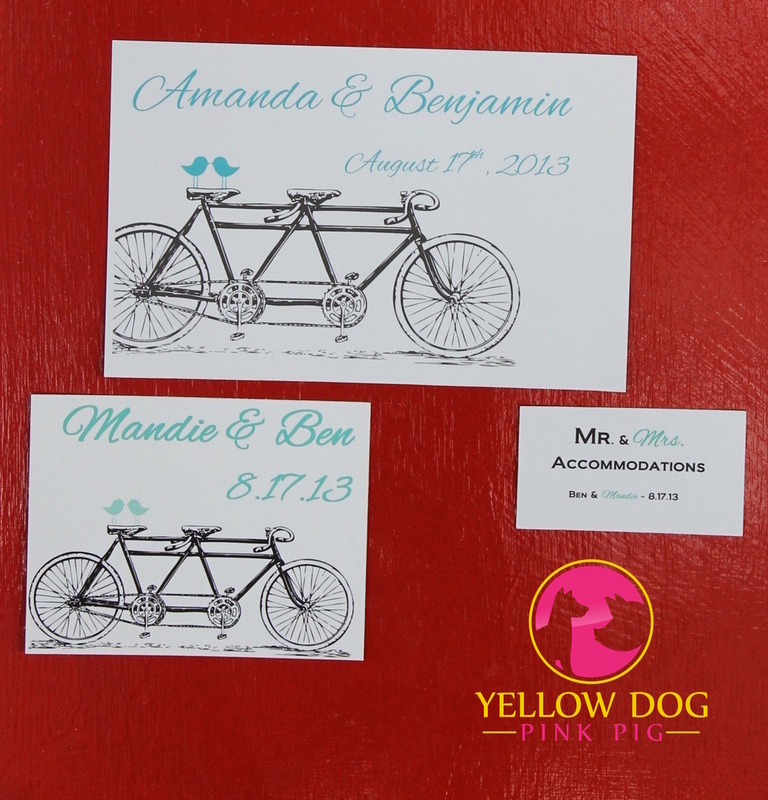 The tandem bike invites are super cute! I love that! Cool! I recently concluded my own ‘Wedding Wednesday’ series! Wish I had known about this one. I’ll have to catch up on Wedding Wednesday 🙂 I printed my own invitations, too! It was a lot of work, but I loved it. Here’s the link if you want to check it out! Thanks for sharing! I’ll take a peek!! These invitations look super cute! I can’t imagine how much work that must have been. Thanks! It was nice to split the project between me and the hubby, but still lots of work. I would never have thought of printing my own wedding invitations at home, but it is an awesome suggestion! Wowzers! Those are super cute and super personal! Love love love! I’m not that creative, so I don’t think I could design my own and print them. We ended up with simple and affordable invitations. I think it was less stress to order them, like you said. There are some things that are definitely way too much of a stress to DIY. Then you realize after all the cost (ink, paper, etc) it’s actually cheaper to just have them made lol. But for all of that hard work ya’ll put out, the invites do look gorgeous! I completely agree – Thanks so much! I love these invites! The bicycle is so cute! I made my own invitations, too, and it saved me so much money. Thanks for sharing at Inspiration Thursday! See you tomorrow night for another party!